In Whiteclay, Nebraska, about seven beers are sold every minute. Here's how many have been sold since you opened this page. The official population of Whiteclay, Nebraska is 12. 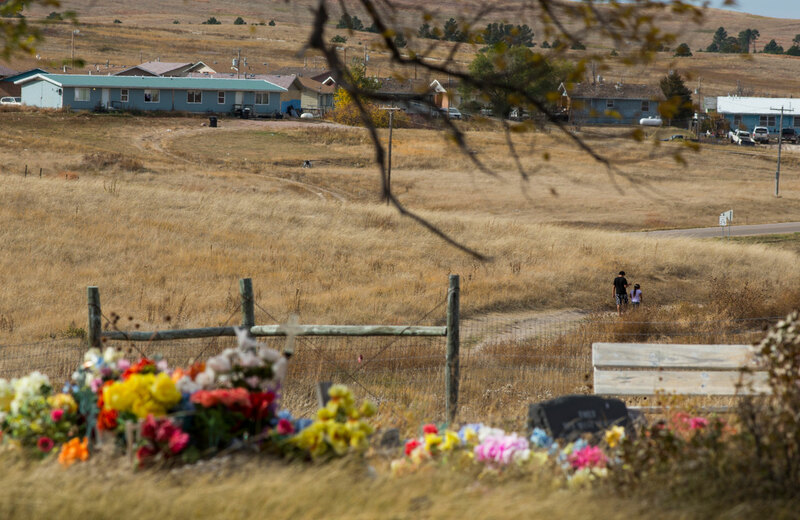 But thanks to a lucrative liquor trade that's heavily dependent on customers from the neighboring, alcohol-free Pine Ridge Reservation in South Dakota, there are many more lives at stake in this unincorporated border town. 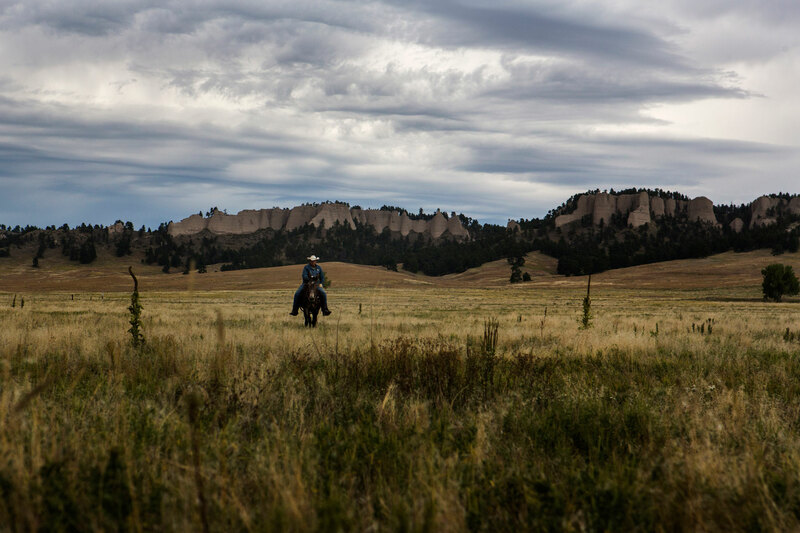 In the southwestern corner of South Dakota, just off I-90 as it scrapes by the Badlands, there lies a beautiful expanse of rolling prairie, interrupted only by ridges of rugged rock face and pine. 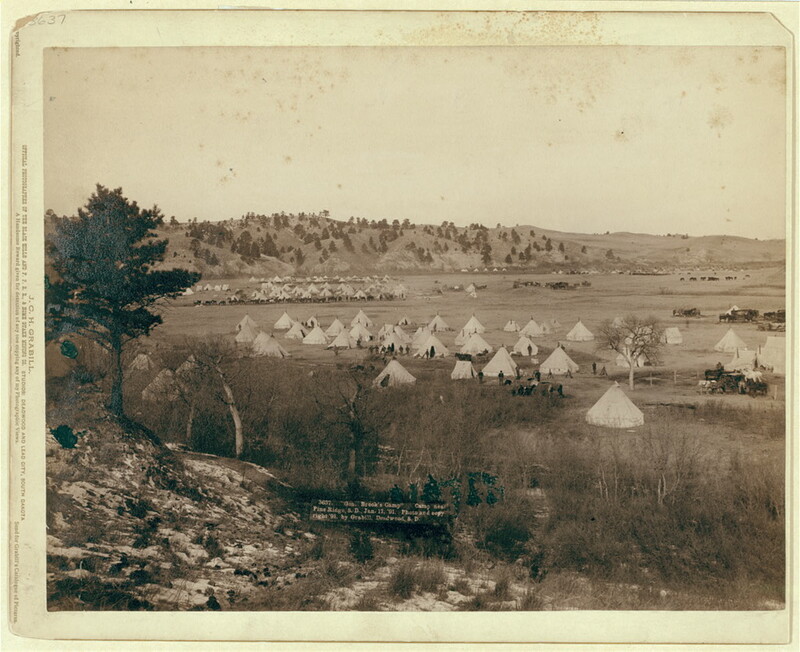 This is the Pine Ridge Reservation—home to the Oglala Lakota. 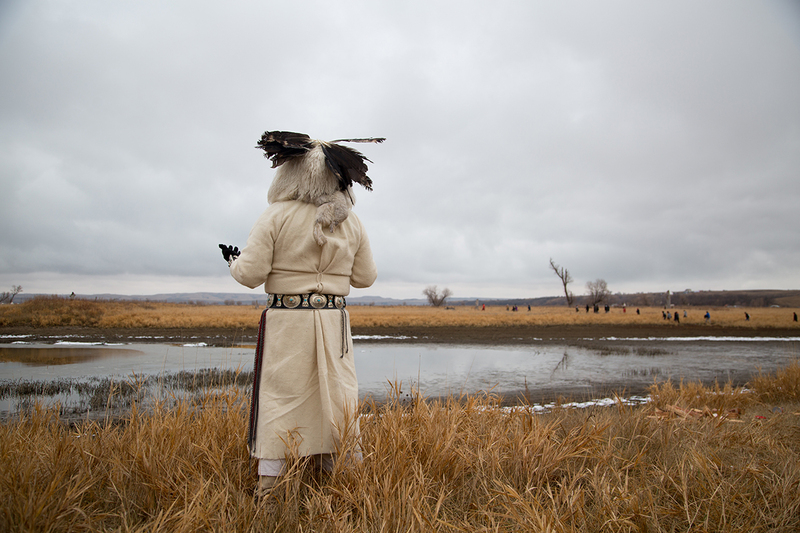 As a band of the powerful Lakota tribe, most living on the reservation have storied lineages, some even tracing back to Crazy Horse, Sitting Bull and Red Cloud. But the spiritual, nomadic culture of their ancestors is not what exists today. It’s been replaced by injustices, tragedies and sorrows spanning more than a century. Chief among them today is a small, unincorporated village on the other side of the South Dakota-Nebraska border. Whiteclay, Nebraska. 12 people. Four liquor stores. More than 42 million cans of beer sold in the last 10 years. It fuels alcoholism that affects nearly every family on a reservation where alcohol is illegal. Here, in the most impoverished county in the United States, it spurs domestic violence, murder, suicide and birth defects that are unprecedented almost anywhere else in the country. Our mission at the University of Nebraska-Lincoln is to give readers a view into this remote area of the country. This project is the product of an in-depth reporting class of 12 students who spent months researching, traveling and editing to bring you these visuals and stories. The places we’ve been span a doublewide trailer where love and sheer will combat the effects of fetal alcohol syndrome, to dawn breaking over the Nebraska Sandhills where a soldier marches toward becoming Nebraska’s first native senator to the streets of Whiteclay filled with lives who’ve lost their way. 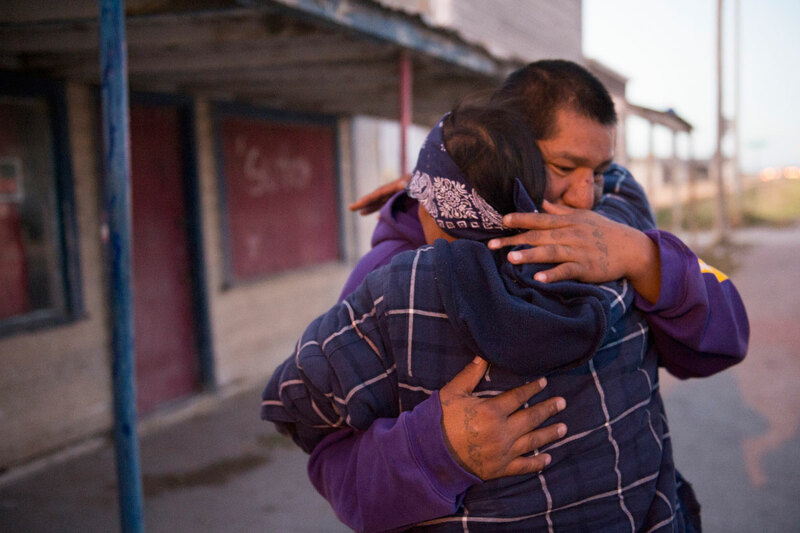 In telling these stories, showing what we’ve seen, we hope readers understand the full effect of the relationship between Whiteclay and Pine Ridge. Louis Benjamin Swift Bird Jr. (left) sits with an open can of Steel Reserve 211 near State Line Liquor on Monday, Oct. 17, 2016, in Whiteclay, Neb. Photo by James Wooldridge. At 9:42 a.m., Thursday, Lancaster County District Judge Andrew Jacobsen issued a scorching seven-page ruling nullifying the Nebraska Liquor Control Commission’s April 19 decision to revoke the licenses of the Whiteclay stores. Declaring the NLCC decision “arbitrary and unreasonable” and in violation of the constitutional rights of the beer store owners, the judge also ordered the NLCC not to interfere with the store owners’ efforts to renew their licenses in a stream-lined fashion and to then honor those renewals upon application. Then, as activists, lawyers and citizens of Sheridan County and the Pine Ridge Reservation celebrated or lamented Judge Jacobsen’s ruling in favor of the beer stores, the legal ground shifted beneath their feet once more. At 1:33 p.m., Thursday, Nebraska Attorney General Doug Peterson, acting for the NLCC, appealed Judge Jacobsen’s order to the Nebraska Court of Appeals, an action that automatically reinstated the NLCC’s revocation of the Whiteclay licenses. By statute, the State Attorney General’s Office supersedes the decision of the lower district court – and that is essentially what took place within four hours Thursday. So, as of midnight this Sunday, April 30, the beer stores in Whiteclay will lock their doors and the tiny village will dry out. At least, that is, until a ruling by the Nebraska Court of Appeals, which is likely to be heard in the coming weeks. On the Pine Ridge Reservation, sadness and anger at the morning’s decision, gave way to surprise and renewed hope with the afternoon’s legal reversal. Tom Brewer, Nebraska’s first Native American senator, called it a “yo-yo day” – one that went from discouragement in the morning to hope by early afternoon. “It gets you numb because you don’t know if you should react because you don’t know where it’s all going to end,” said Brewer, an Oglala Lakota from the Pine Ridge Reservation whose legislative district includes Whiteclay. Andrew Snyder, a Scottsbluff attorney who represents the beer store owners, echoed many of Brewer’s sentiments. 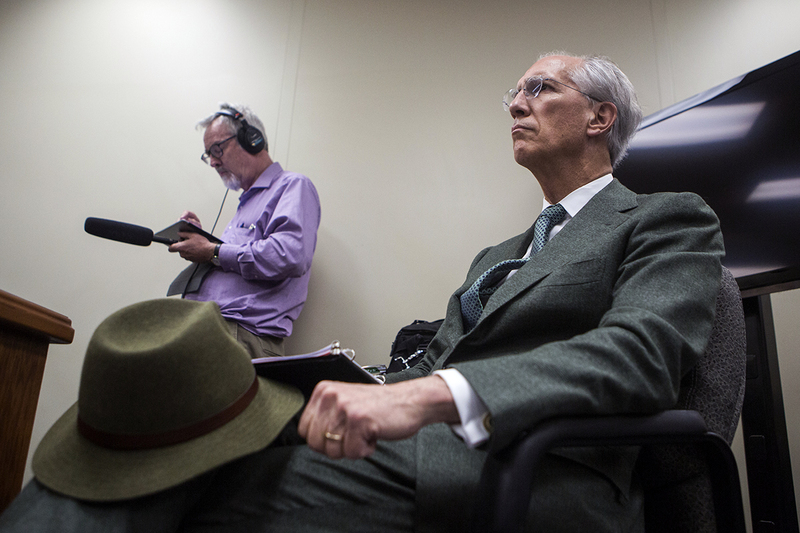 Snyder said he and his clients were flying high after Jacobsen’s decision Thursday morning but “were feeling pretty disappointed” once the afternoon decision arrived. Snyder said he will challenge the decision to reinstate the beer ban by filing an appeal early next week with the state court of appeals. The process typically takes six to nine months to work its way through the courts, but Snyder said he’s optimistic the ruling this time will come in under that. That morning district court decision did not mince many words. Attorney Snyder initially said he was not surprised by the district court ruling favoring his clients. Judge Jacobsen, he said, simply followed the existing law, which has been in place for more than 20 years. “The LCC can’t get away with side-stepping the law just because it’s politically expedient,” Snyder said. Snyder said he was surprised, however, that the Lincoln judge went one step farther by invalidating the LCC decision, declaring it void. Just last week, the three-member state liquor commission ordered the licenses revoked effective at midnight Sunday. In undergirding its decision, the commission cited woeful law enforcement, bootlegging, sexual misconduct and public health and safety issues among its reasons for revoking the four Whiteclay beer store licenses. “I believe these activities of Whiteclay have gone on way too long and my vote is to not renew the licenses,” Liquor Control Commissioner Bruce Bailey said during the April 19 hearing. 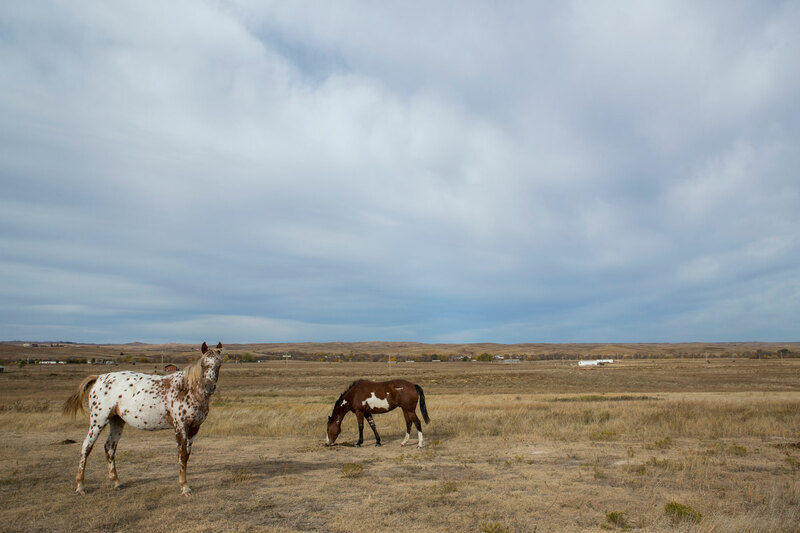 The notorious village of seven residents hugs the Nebraska-South Dakota border and racks up annual beer sales estimated at 3.5 million – many to Oglala Lakota residents of the nearby Pine Ridge Reservation, where alcohol is illegal. Several Pine Ridge teen-agers applauded Thursday’s decision to reinstate the beer ban. 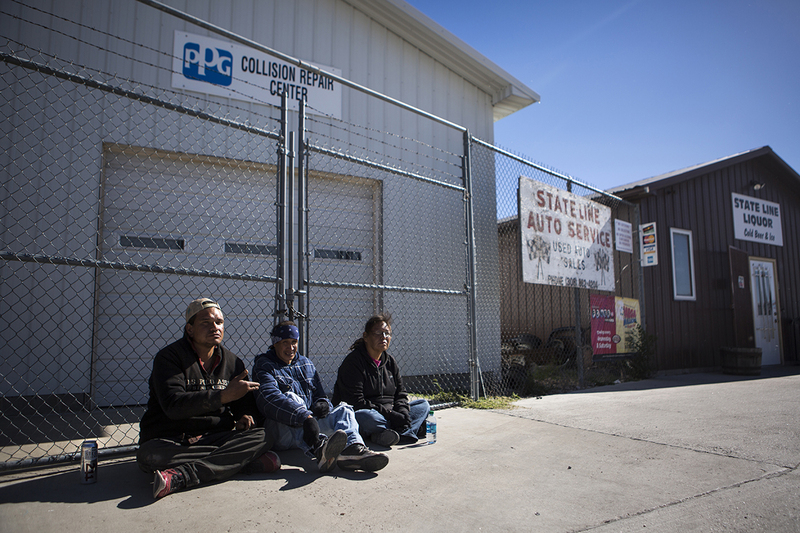 Herman Janis, a 46-year-old Pine Ridge resident, laughed when asked his reaction to the day’s legal twists and turns. Asked his opinion while at a Gordon, Nebraska, gas station, 43-year-old Sam Gibson said he could see both sides of the issue. “Alcoholism is a big problem,” he said. “Maybe they need to get help first, then change things. Frank LaMere reacts to the Nebraska Liquor Control Commission's unanimous decision to revoke Whiteclay's four liquor licenses in Lincoln, Neb. on Wednesday, April 19, 2017. Photo by James Wooldridge. For 113 years, the booze has flowed freely in the notorious village of Whiteclay, but the end is near: On May 1, the four beer stores in the ramshackle village of seven people could cease to exist. So decreed a unanimous vote of the Nebraska State Liquor Control Commission at 11:14 a.m. Wednesday—a decision that triggered cheers and tears in a standing-room-only hearing room on the fifth floor of the Nebraska State Office Building. Citing lackluster law enforcement, a deplorable attention to public health and sexual abuse of young girls, the three commissioners voted not to renew the beer store licenses after their April 30 expiration date. 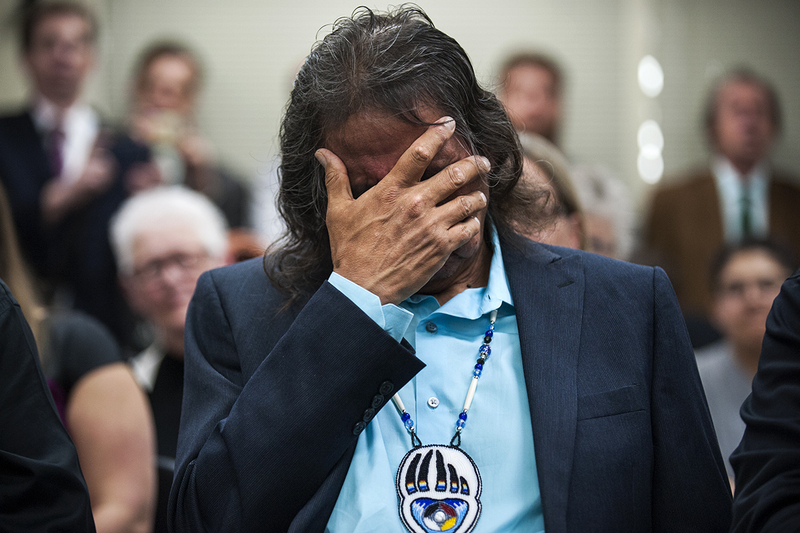 When the decision was announced, Frank LaMere, a Winnebago activist who has fought for 22 years to shut down the four beer stores, began to weep. 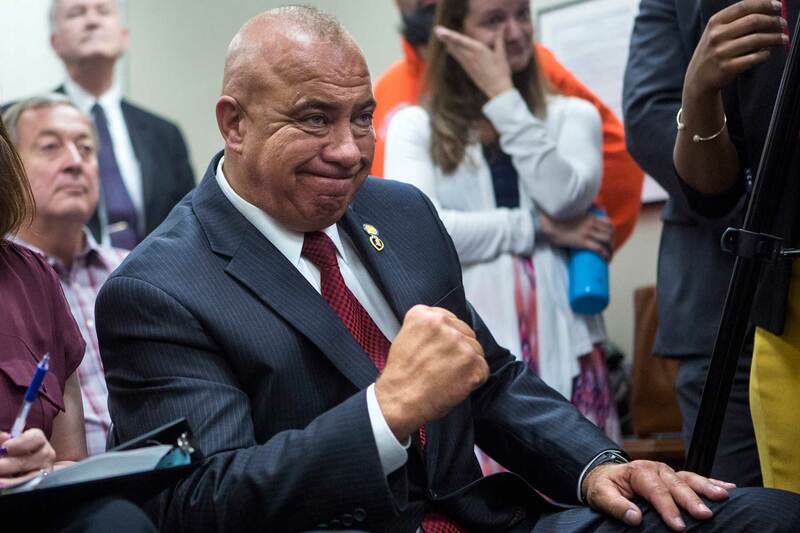 The decision was a dream come true for Sen. Tom Brewer, the first Native state senator in Nebraska history whose district encompasses Whiteclay. After the vote, the Oglala Lakota U.S. Army war veteran-turned-politician gave a jubilant fist pump and broke into a wide smile. 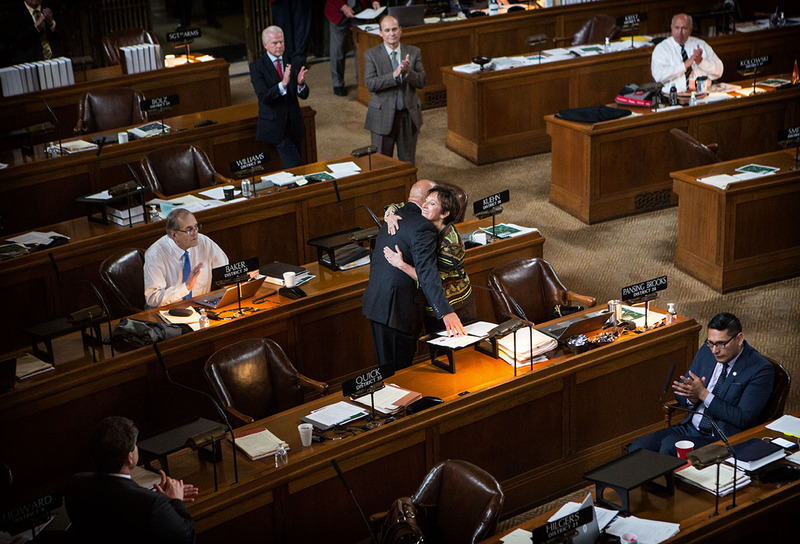 Nebraska Senators Patty Pansing Brooks and Tom Brewer embrace after sharing the news of the Whiteclay beer stores' license revocation with colleagues on the legislative floor at the Nebraska State Capitol on Wednesday. Photo by Calla Kessler. For Judi gaiashkibos, executive director of the Nebraska Commission on Indian Affairs, the decision will have a ripple effect. And, she said, it won’t be contained to Native people, or Nebraska, or the United States. It’s international in scope. And it was a day Bryan Brewer, former president of the Oglala Sioux Tribe, thought would never happen. Before he left Pine Ridge on Monday for the hearing, he heard rumors that the beer stores had already won. Now that the rumors have ceased and the truth prevails, he said, it’s a happy day. But it’s also not the end. Omaha attorney Dave Domina, who brought the case against the beer store owners, was emotional after the vote. “I don’t think you can be a human being and not be moved by it,” he said breaking into tears. Sen. Tom Brewer reacts to the Nebraska Liquor Control Commission's unanimous decision to revoke Whiteclay's four liquor licenses in Lincoln, Neb. on Wednesday, April 19, 2017. Photo by James Wooldridge. Meanwhile, Scottsbluff attorney Andrew Snyder, who represented the beer store owners, said he and his clients will appeal the case as soon as they receive a written decision from the LCC. “We believe the decision is wrong and contrary to law,” he said. Snyder said it’s clear there were forces in play beyond the LCC that were aligned against them. His clients, he said, felt railroaded. The case must be appealed within 30 days to the Lancaster District Court. After hearing the case, the court could either reverse, modify, overrule or sustain the LCC’s decision. The court could also send the case back to the commission for further hearings. The district court could also hold the decision and restore the beer stores’ licenses throughout the appeals process, which Snyder said they will request. The appellate process could take weeks, months or even years depending on how far the case is appealed. But as of Wednesday morning, the four beer stores—which sold 3.6 million cans of beer last year largely to the Oglala Lakota’s nearby dry reservation—will be out of business in 11 days. The hearing on whether to renew the four beer stores’ licenses—those of Arrowhead Inn, Jumping Eagle Inn, Stateline Liquor and D & S Pioneer Service—was the result of an Oct. 11 hearing when a county commissioner who oversees Whiteclay said there is not enough law enforcement to address the crime-laden unincorporated village. 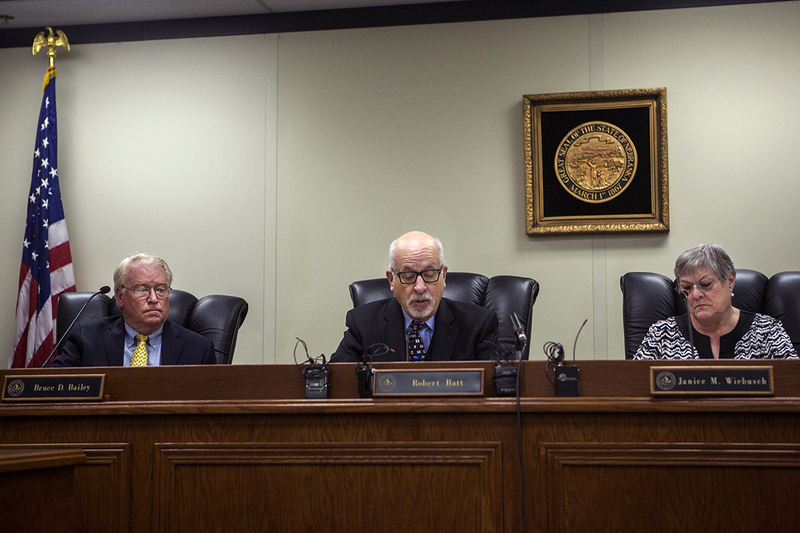 On April 6, the LCC heard from complainants and the beer store owners in a hearing room inside the capitol to decide whether Whiteclay had enough law enforcement presence. During the 12-hour hearing, testimony from Whiteclay residents and Pine Ridge officials affirmed that. It also spilled over into issues like bootlegging, human trafficking and public health hazards. Although the beer stores and their attorney argued that the LCC had no legal right to question the license renewals, the commission felt it was not only a right—but a duty. “I believe these activities of Whiteclay have gone on way too long and my vote is to not renew the licenses,” said Commissioner Bruce Bailey. People watch as the Nebraska Liquor Control Commission votes to revoke Whiteclay's four liquor licenses on Wednesday, April 19, 2017, in Lincoln, Neb. Photo by James Wooldridge. He cited the Nebraska Liquor Control Act at length, pointing to seven specific provisions of the statute as reasons for making the decision. He also noted that several witnesses had provided critical testimonies—witnesses who work for the Christian-based Lakota Hope Ministry in Whiteclay. 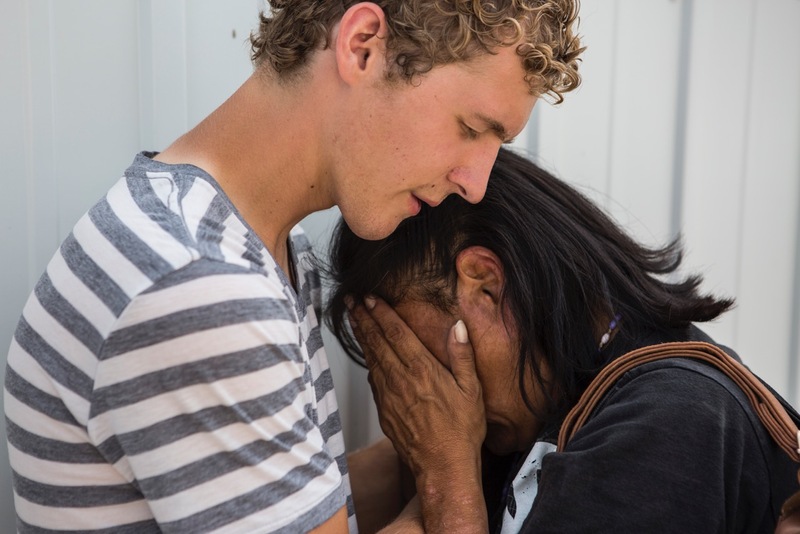 “I’ll be out of a job, which is gonna be good,” said Abram Neumann, a 22-year-old missionary who’s tended to Whiteclay’s street people for the last two years. Bruce BonFleur, who founded the ministry 13 years ago, said this could be a transformative decision for Whiteclay. LCC Chairman Robert Batt said he hopes not renewing the licenses can be the first step in addressing change in Whiteclay. However, he said this isn’t the end of addressing the problems that bring Oglala Lakota there. To fix that, he said, it will require federal institutions to own up to their mismanagement. The Nebraska Liquor Control Commission's Bruce Bailey (left), Bob Batt and Janice Wiebusch revoke Whiteclay's four liquor licenses in Lincoln, Neb. on Wednesday, April 19, 2017. Photo by James Wooldridge. Many others echoed similar sentiments—that although Wednesday’s decision was good news, it was only the first step in a longer journey. 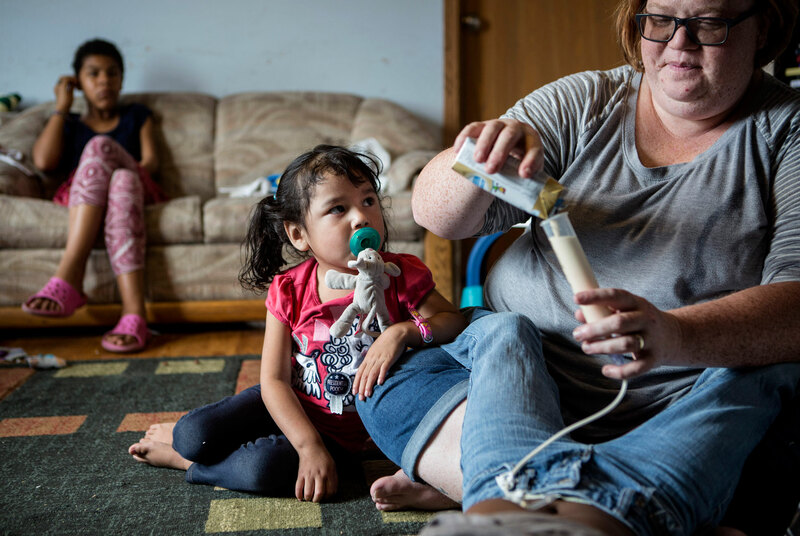 Nora Boesem, a former nurse from Newell, South Dakota, has taken on Whiteclay-related issues by adopting several Pine Ridge children with Fetal Alcohol Spectrum Disorder. Upon hearing the news, she laughed and cried, but above all she felt a sense of duty. John Maisch, an attorney from Oklahoma who directed a Whiteclay documentary, said the sun is finally shining through a long history of overcast, but it can’t end here. Frank LaMare (left) speaks to a crowd after the Nebraska Liquor Control Commission's unanimous decision to revoke Whiteclay's four liquor licenses on Wednesday, April 19, 2017, at the Nebraska State Office Building in Lincoln, Neb. Photo by James Wooldridge. State Sen. Patty Pansing Brooks, whom many credited with jump-starting political will around Whiteclay, said Wednesday’s decision is a continuation in an ongoing spiritual journey. Pansing Brooks said she felt it when LaMere first spoke to her. 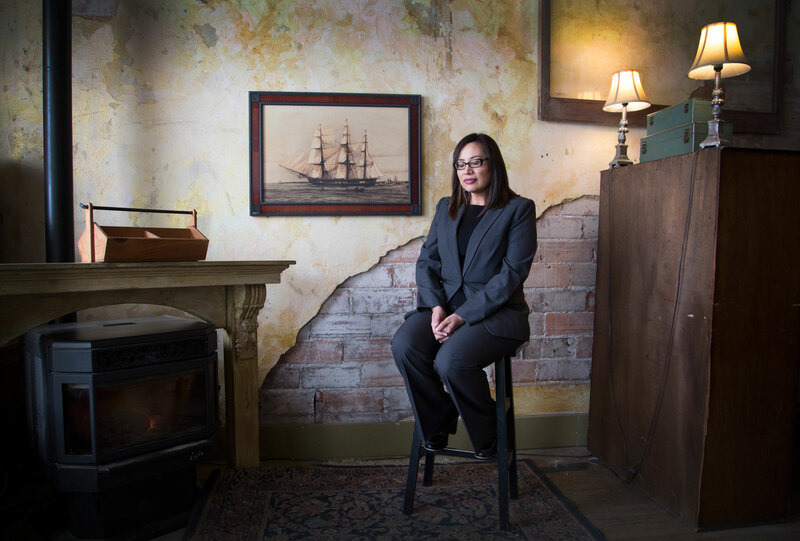 She felt it the first time she spoke to human trafficking victims. She hopes this—as well as her bill to promote detox, job creation and economic development in the town—will change the parasitic relationship to something much different. A year ago, Olowan Martinez, a Pine Ridge resident and Whiteclay activist, might have scoffed at that. She had a grandpa die in Whiteclay, a mother who died of cirrhosis, cousins who died in drunk driving accidents and knows many more with similar stories. All the while, she said, Nebraska did nothing. But the narrative seems to be changing. Wednesday morning she and several others gathered on the South Dakota-Nebraska state line on the edge of Whiteclay to await the decision. When it was announced, the group celebrated and smiled at each other because for some it was the first sign that Nebraska cares about the Oglala Lakota. 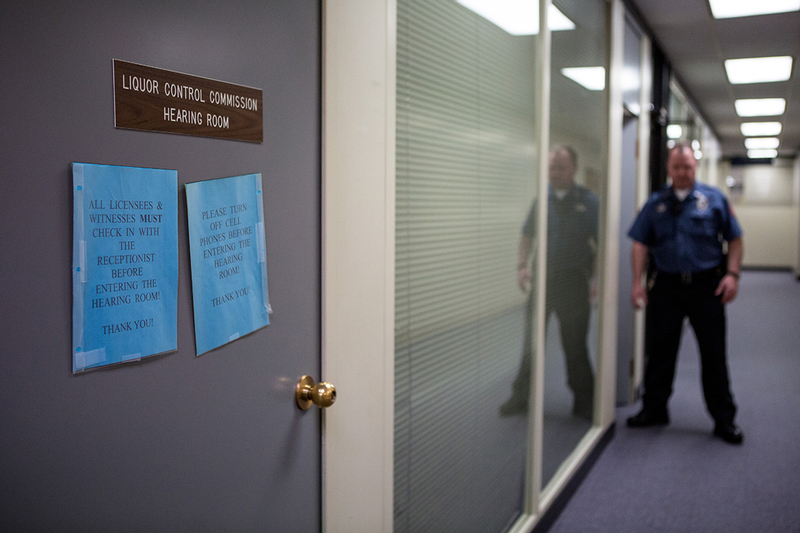 A security guard stands by the door of a packed hearing room on Wednesday, April 19, 2017 at the Nebraska State Office building in Lincoln. Photo by Calla Kessler. "It means that my life matters. It means that we don’t have to be invisible. It means that we are being afforded due process. It means that our voice is heard. I feel like my work has more value and this gives me inspiration to work harder." Nebraska Liquor Control Commission Chairman Bob Batt after the commission's unanimous decision to revoke Whiteclay's liquor licenses in Lincoln on Wednesday, April 19, 2017. Photo by James Wooldridge. 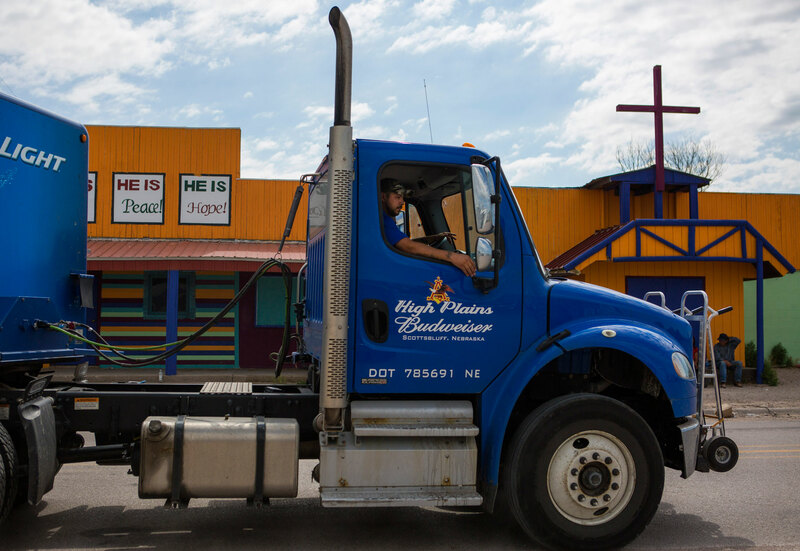 "We just don't want it that people don’t now drop Whiteclay and forget Whiteclay even exists, because this is just a stepping stone or building block to where we need to be with Whiteclay. We get rid of the liquor stores, we clean up the town, we find new business, and we give hope to a community that hasn’t had it for as long as anybody can remember." Lawyer Dave Domina listens as the Nebraska Liquor Control Commission makes its unanimous vote to revoke Whiteclay's four liquor licenses in Lincoln, Neb. on Wednesday, April 19, 2017. Photo by James Wooldridge. 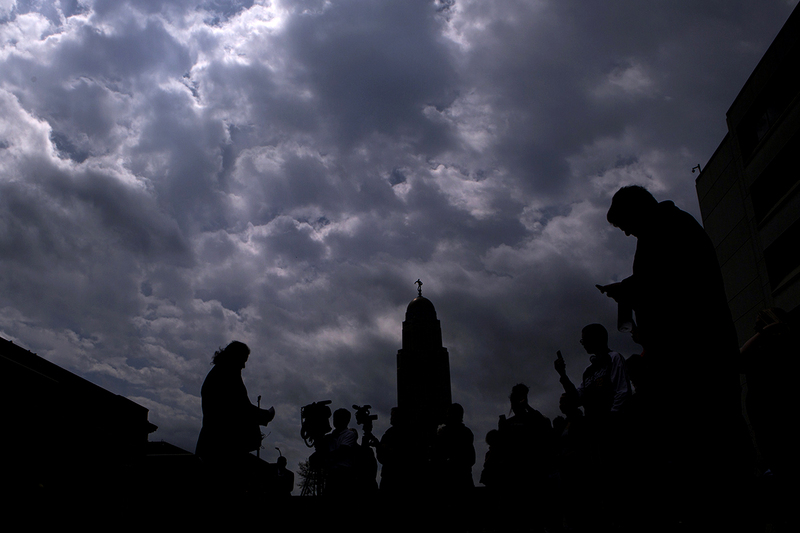 "I think today a dark cloud is lifted, really, over the state of Nebraska. It’s a time for rebuilding to begin." "There will be a significant reduction in the volume of alcohol on the reservation. Access matters. So there will be a reduction in consumption which will have a direct relationship to a reduction in criminal activity, including the worst kind of criminal activity." 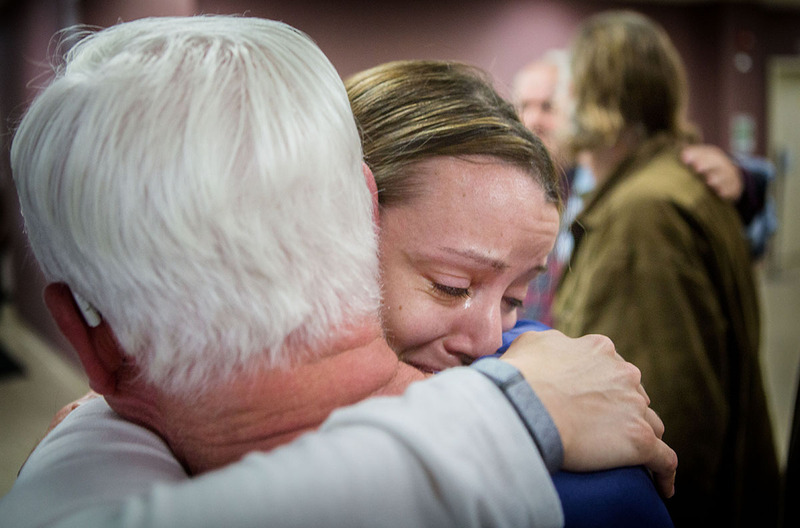 Maggie Ballard and Bill Laird of the Whiteclay Action Coalition in Omaha hug after the liquor license denial on Wednesday, April 19, 2017 at the Nebraska State Office building in Lincoln. Photo by Calla Kessler. "We protested, we walked through Whiteclay in many protests, and always wondered “Are we really gonna do any good? Is anything going to happen? Will anyone hear us out there?” I think the Nebraska residents made this happen. We didn’t. When we protested and marched, they said 'oh, the Indians are complaining.'" Dennis Carlson (center) and Gerry Fennegan (right) react to the news of the beer store license denial on Wednesday, April 19, 2017 at the Nebraska State Office building in Lincoln. Photo by Calla Kessler. Sitting in a packed hearing room, Frank LaMere holds his face in his hands, weeping with joy and relief. Earlier on this late-April morning, the longtime Whiteclay activist had “put tobacco down,” praying to the Creator, asking, if He could change Whiteclay, let it change today. And finally, after more than a century of alcohol sales from Whiteclay to the nearby Pine Ridge Reservation, after almost 20 years devoted to closing the town’s four beer stores, LaMere’s prayers were answered. On Wednesday in Lincoln, the three Nebraska Liquor Control commissioners, acting unanimously, denied the renewal of the liquor licenses of Whiteclay’s four beer stores. On this day, on Pine Ridge, a reservation the size of Delaware and Rhode Island combined, the 40,000 residents can talk of nothing but this historic decision. Since 1904, they have lived alongside the saloon town, which has poured millions of gallons of beer across the Nebraska-South Dakota border onto the dry reservation. 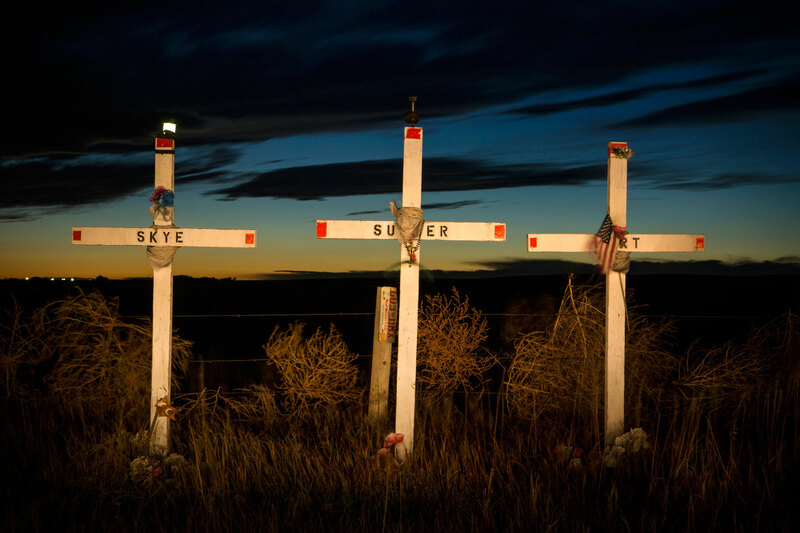 In the late 1990s, after decades of suffering the ravages of alcoholism, two unsolved murders in Whiteclay galvanized Indian activists against the beer sales. Steadily mounting pressure forced the LCC to monitor the four beer stores and the area’s questionable law enforcement. Guy Dull Knife Sr., 69, a lifelong Pine Ridge resident, has been instrumental in Whiteclay protests. Once, he and members of his family set up a roadblock on Highway 87, and in half a day confiscated and emptied 80 cases of beer from cars leaving the village of seven people. “[This] will save a lot of people...lot of kids that are suffering,” Dull Knife said of Wednesday’s decision. While celebrating the commission’s decision, many Pine Ridge residents and long-time beer store opponents are shifting their focus to the future. Nora Boesem is a Whiteclay activist and foster mother to nine Pine Ridge children who suffer from fetal alcohol spectrum disorder. She said she was on the phone just hours after the LCC decision discussing funding for establishing detox and treatment centers on the reservation and surrounding areas. Meanwhile, Former Oglala Sioux President Bryan Brewer said the issues on the reservation – physical and sexual abuse, suicides, murders, extreme poverty – did not begin and will not end in Whiteclay. But 3 million fewer cans of beer coming onto the reservation, he says, is a start. 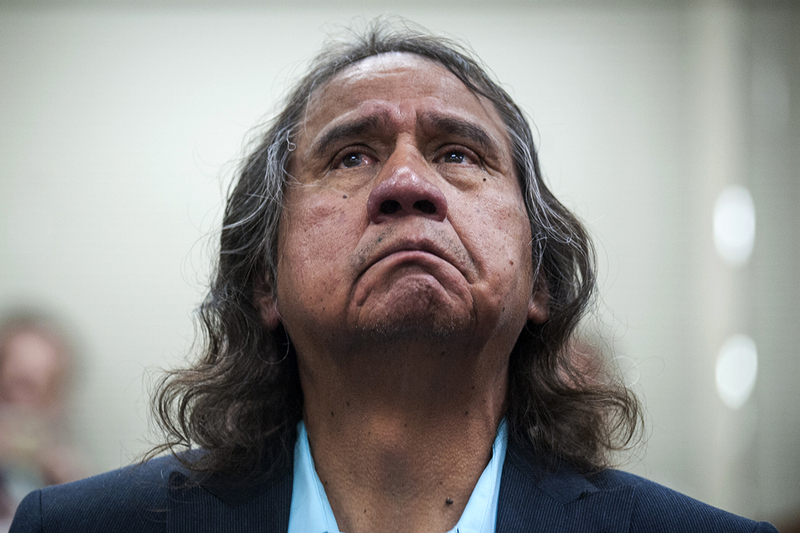 Abram Neumann, a Whiteclay street missionary, testified at an April 6 LCC hearing. 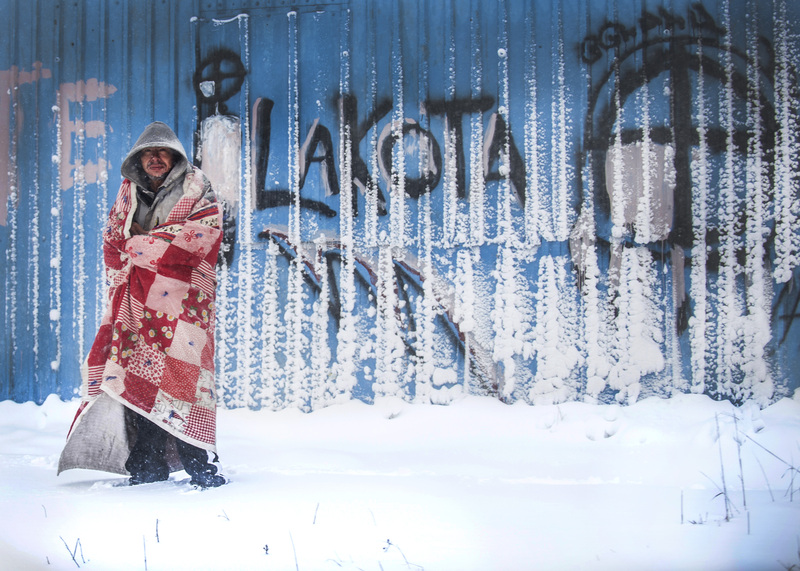 He said being unable to take a short walk from Pine Ridge to Whiteclay for a drink helps open the door for recovery from crippling addiction. Nora Boesem has alternated between crying and laughing in surprise since she heard of the LCC decision. 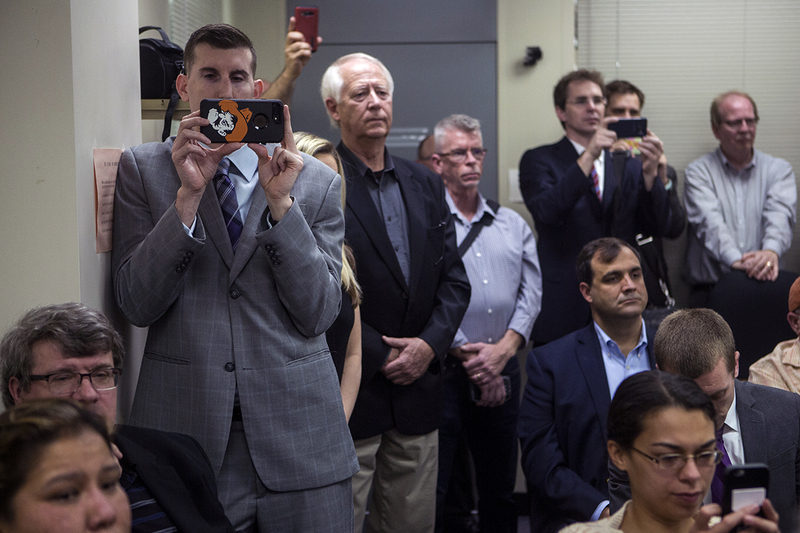 Surprise because, activists have testified before the LCC for years, but no changes were made. Now, she says, the unanimous vote revoking the beer licenses paves the way for other reservation changes to be made. A dozen students enrolled in a year-long depth reporting class at the University of Nebraska-Lincoln's College of Journalism and Mass Communications produced this website. The course focused on the issues in and around Whiteclay, Nebraska, and the Pine Ridge Reservation in South Dakota. We will continue to update and add content to this site in the coming months. Tell your neighbors, friends and family members about Whiteclay. Get them involved by telling them the same stories, facts and figures we’ve shared and also by directing them to this website and Whiteclay or Pine Ridge events. Community organizations such as Whiteclay Groups in Lincoln (Fix Whiteclay, Open Eyes Not Cans and Progressive Nebraska) and Omaha (Whiteclay Action Coalition) both online and in community events. Join these groups’ Facebook pages and watch for events such as rallies and protests to make your voice heard. Half the battle with this issue is staying on top of the ever-changing status of Whiteclay’s liquor licenses and the issues surrounding the village and Pine Ridge. Read stories published in your local papers, our website and other reputable sources and, as always, share those with friends, family and those close to you.